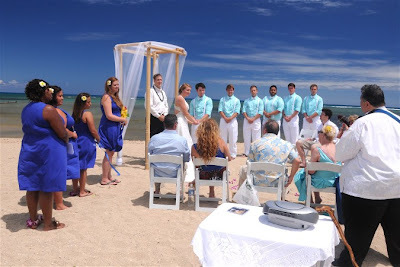 Our Ukulele player Bernard sings at Miles & Dawnelle's Wedding at Waialae Beach on July 21st. The colors are spectacular! Beautiful blue sky and blue wedding theme. 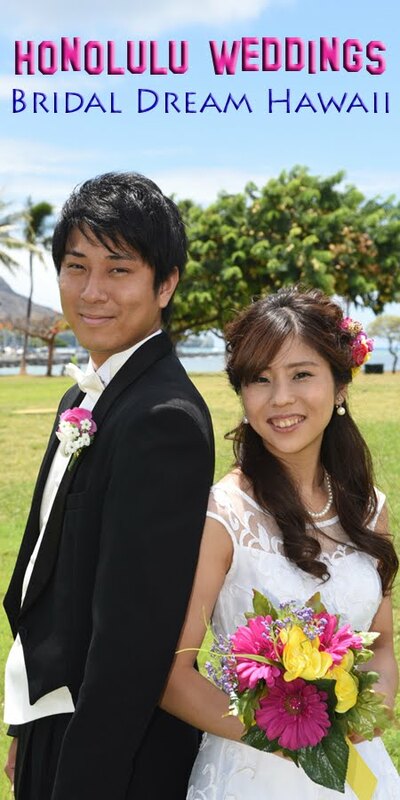 *Note: This arch & chair set was ordered from a rental company, not at Bridal Dream Hawaii.